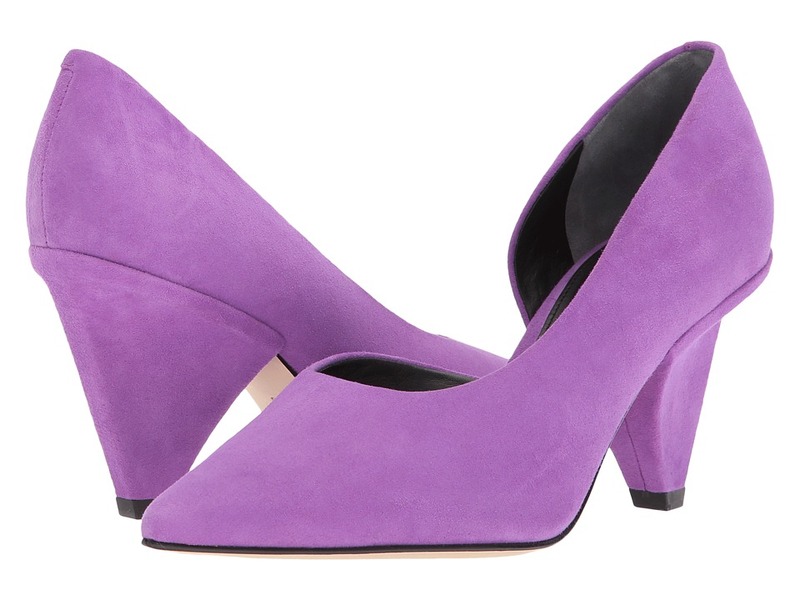 Convey a sophisticated outlook with the stunning Sigerson Morrison Marie heels. Metallic leather upper. Elastic at the vamp for a secure fit. Pointed-toe silhouette. Leather lining. Lightly padded leather footbed with embossed logo. Wide kitten heel. Leather outsole with textured rubber heel strike. Imported. This item may ship with an attached security tag. Merchandise returned without the original security tag attached or a damaged tag may not qualify for a refund. Measurements: Heel Height: 1 1 4 in Weight: 7 oz Product measurements were taken using size 8.5, width M. Please note that measurements may vary by size. Weight of footwear is based on a single item, not a pair. 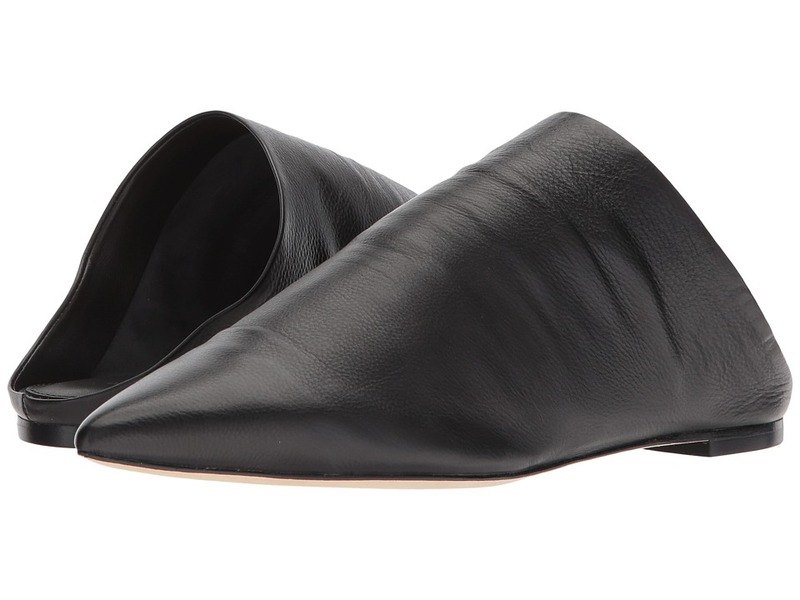 Vamp up your look with the Saily flats from Belle by Sigerson Morrison! Genuine leather upper. Slip-on style. Pointed-toe silhouette. Leather lining and footbed. Small heel. Leather outsole. Made in Spain. This item may ship with an attached security tag. Merchandise returned without the original security tag attached or a damaged tag may not qualify for a refund. Measurements: Heel Height: 1 2 in Weight: 6 oz Product measurements were taken using size 8.5, width M. Please note that measurements may vary by size. Weight of footwear is based on a single item, not a pair. Convey a sophisticated outlook with the stunning Sigerson Morrison Jay knee high boots. Genuine leather upper. Inside-zipper closure. Elastic goring at the top of the shaft. Pointed-toe silhouette. Leather lining. Lightly padded leather footbed with embossed logo. Cone shaped heel. Leather outsole. Made in Italy. This item may ship with an attached security tag. Merchandise returned without the original security tag attached or a damaged tag may not qualify for a refund. Measurements: Heel Height: 3 1 2 in Weight: 12 oz Circumference: 14 in Shaft: 18 in Product measurements were taken using size 8, width M. Please note that measurements may vary by size. Weight of footwear is based on a single item, not a pair. Convey a sophisticated outlook with the stunning Sigerson Morrison Jeanie. Genuine leather upper. 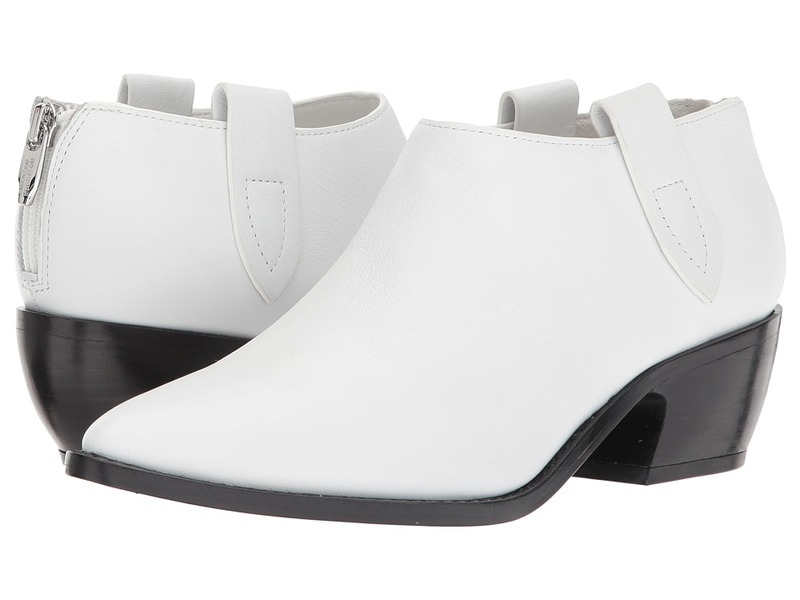 Slip-on style with slingback ankle strap. Pointed toe. Leather lining. Lightly padded leather insole with embossed logo. Triangular shaped heel. Leather outsole. Imported. This item may ship with an attached security tag. Merchandise returned without the original security tag attached or a damaged tag may not qualify for a refund. Measurements: Heel Height: 4 in Weight: 9 oz Product measurements were taken using size 9, width M. Please note that measurements may vary by size. Weight of footwear is based on a single item, not a pair. Convey a sophisticated outlook with the stunning Sigerson Morrison Jojoe Boots. Genuine leather upper. Inside-zipper closure. Elastic goring at the top of the shaft. Pointed-toe silhouette. Leather lining. Lightly padded leather footbed with embossed logo. Cone shaped heel. Leather outsole. Imported. This item may ship with an attached security tag. Merchandise returned without the original security tag attached or a damaged tag may not qualify for a refund. Measurements: Heel Height: 3 1 2 in Weight: 10 oz Product measurements were taken using size 8, width M. Please note that measurements may vary by size. Weight of footwear is based on a single item, not a pair. 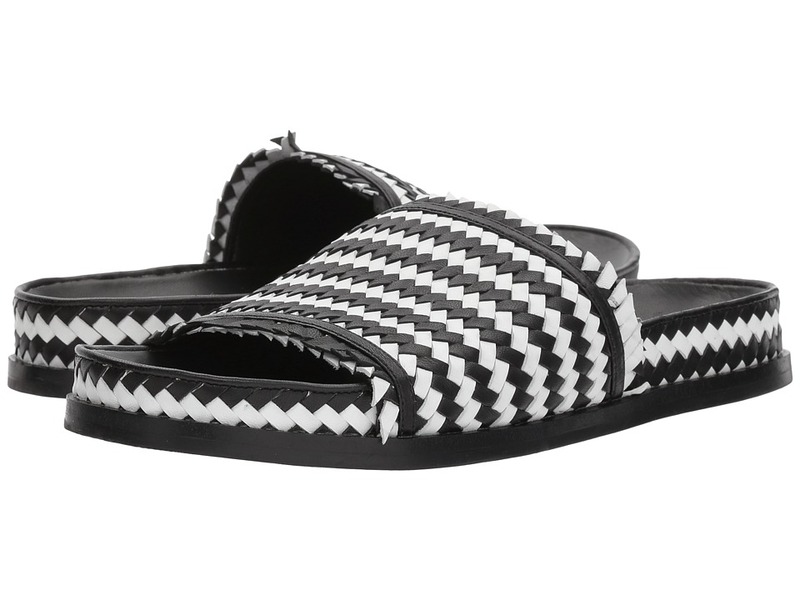 Vamp up your look with the Aoven sandals from Sigerson Morrison! Woven leather upper. Slip-on style. Open-toe silhouette. Smooth leather lining. Lightly padded leather footbed. Synthetic platform and outsole. Imported. This item may ship with an attached security tag. Merchandise returned without the original security tag attached or a damaged tag may not qualify for a refund. Measurements: Weight: 9 oz Product measurements were taken using size 7.5, width M. Please note that measurements may vary by size. Weight of footwear is based on a single item, not a pair. 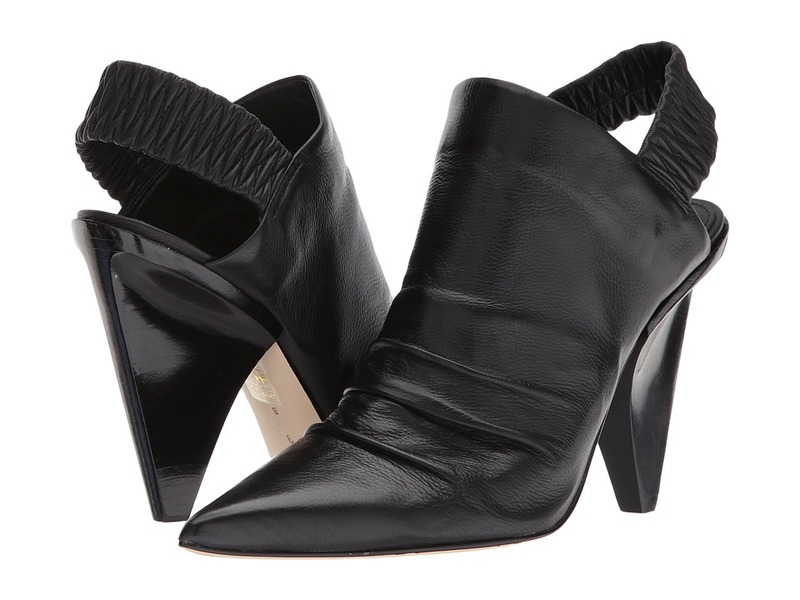 Convey a sophisticated outlook with the stunning Sigerson Morrison Dorie bootie. Suede and genuine leather upper. Back-zipper closure. Pull-tabs at the sides. Pointed-toe silhouette. Leather lining. Lightly padded leather footbed with embossed logo. 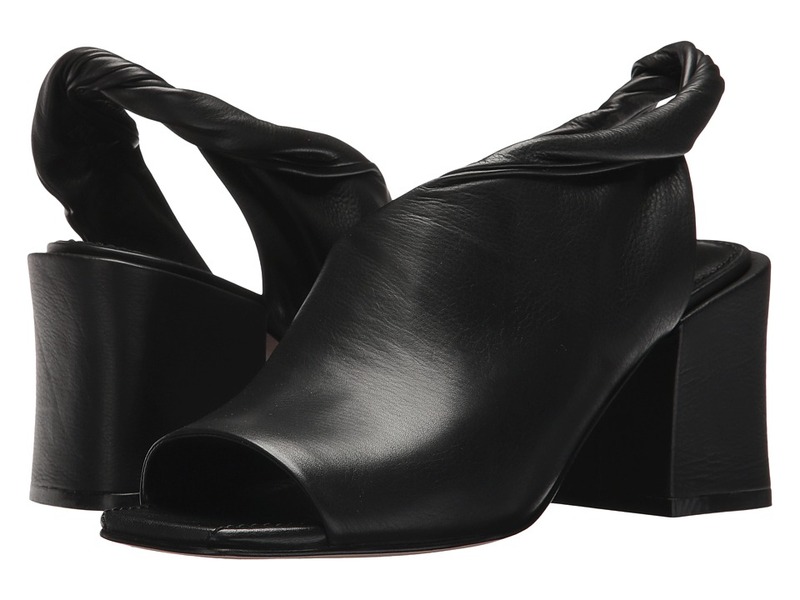 Stacked, chunky heel. Leather outsole. Imported. This item may ship with an attached security tag. Merchandise returned without the original security tag attached or a damaged tag may not qualify for a refund. Measurements: Heel Height: 1 3 4 in Weight: 14 oz Product measurements were taken using size 8.5, width M. Please note that measurements may vary by size. Weight of footwear is based on a single item, not a pair. Convey a sophisticated outlook with the stunning Sigerson Morrison Garson. Suede or leather upper. Slip-on style. Pointed-toe silhouette. Leather lining. Lightly padded leather insole with embossed logo. Stacked, cone shaped heel. Leather outsole. Imported. This item may ship with an attached security tag. Merchandise returned without the original security tag attached or a damaged tag may not qualify for a refund. Measurements: Heel Height: 3 in Weight: 8 oz Product measurements were taken using size 7.5, width M. Please note that measurements may vary by size. Weight of footwear is based on a single item, not a pair. 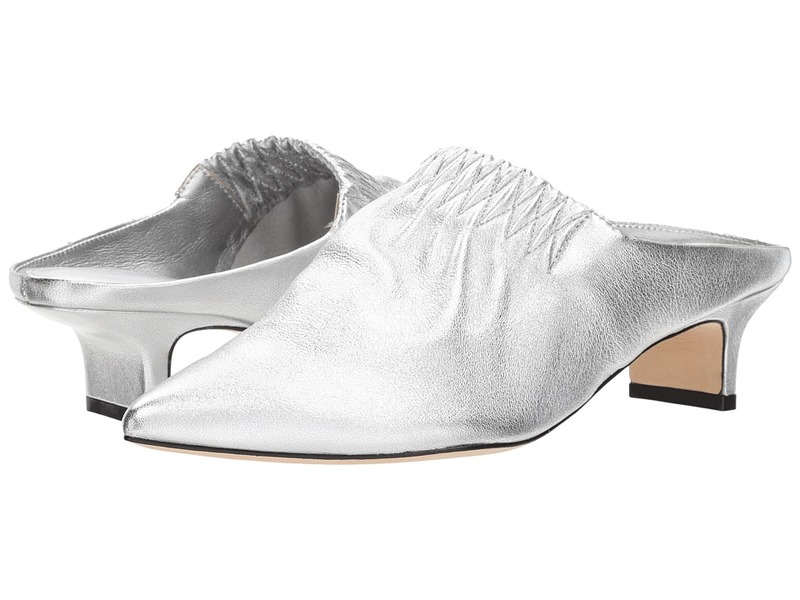 Convey a sophisticated outlook with the stunning Sigerson Morrison Halima. Suede or leather upper. Slip-on style with sling back ankle strap. Open-toe silhouette. Leather lining. Lightly padded leather insole with embossed logo. Wrapped, block heel. Leather outsole. Imported. This item may ship with an attached security tag. Merchandise returned without the original security tag attached or a damaged tag may not qualify for a refund. Measurements: Heel Height: 3 in Weight: 10 oz Product measurements were taken using size 8.5, width M. Please note that measurements may vary by size. Weight of footwear is based on a single item, not a pair.